Home / Knowledge Base / General / What is a URL? A uniform resource locator, abbreviated URL, also known as web address, is a specific character string that constitutes a reference to a resource. In most web browsers, the URL of a web page is displayed on top inside an address bar. An example of a typical URL would be “http://en.example.org/wiki/Main_Page”. A URL is technically a type of uniform resource identifier (URI), but in many technical documents and verbal discussions, URL is often used as a synonym for URI, and this is not considered a problem. I’m sure that clears things right up, right? A URL is the website or web page’s address. It’s what is in the address bar of your web browser. It’s the full address of a page, including the “http://” or “https://” (https = secure) part. Each one is unique. It cannot have spaces in it. Some other characters like apostrophes are not allowed either. 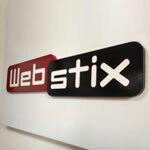 The people at Webstix were a tremendous help to me when I needed to move my website hosting to them. They were able to take care of all the problems that came up during and after the transfer very quickly. They are a friendly group to work with, fast on replies to questions, and very gracious. I would recommend them highly for website hosting and maintenance.